VIAN CO., LTD. : Takisada-Nagoya Co., Ltd. 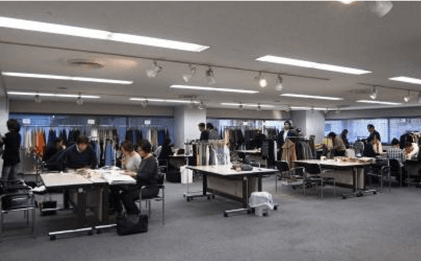 This company, which handles clothing fabric, was formed as a subsidiary of TAKISADA-NAGOYA 25 years ago. External staff has been added in recent years and the company has been developing its own unique business style.